This large Flemish Verdure Tapestry panel is dating to about 1700. It is depicting an idyllic rural scene typical of this genre. Two elegantly drawn dogs are heading for a stream, a building is just visible behind a tree off centre. 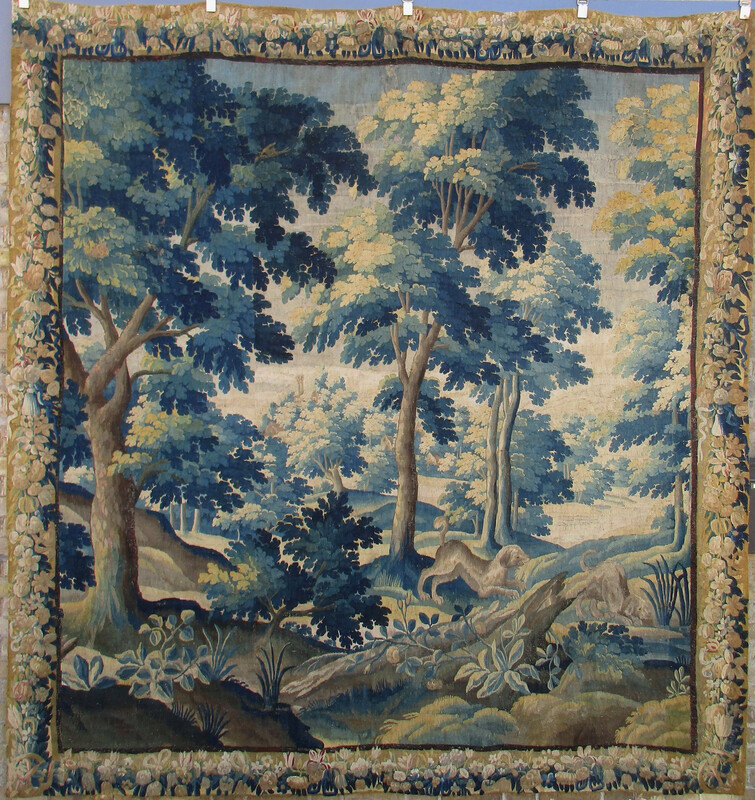 The composition, including the generously drawn and well spaced trees, and the fresh colours, mainly in tones of blue, green and brown-grey, create an elegant and serene textile. Tapestry weave in wool and silk. 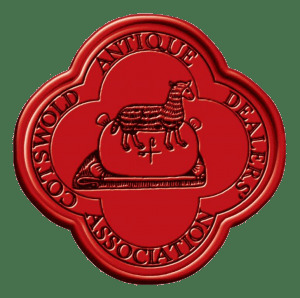 Original height, reduced in width. Backed on old, heavy linen.